2. What is the pet policy? Every building has restrictions for the number and size of pets a resident can have. This affects you even if you don't have pets of your own as you may not want to live in a building that allows dogs (especially large breeds). Also if you do have a dog, be sure that the building has adequate green space nearby. There are buildings in New Orleans that allow dogs but are essentially 'land-locked' and you'll have to walk a few blocks for Fido to be able to take care of business! These are just a few of the issues you face when purchasing a condo, loft or townhome. That's why it's important to work with an agent with the knowledge to guide you through the process. 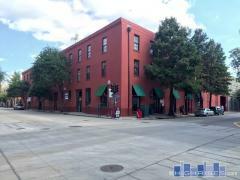 Contact us today for more info about buying an New Orleans condo or loft!